It’s no surprise that the ever-changing nature of the IT world is changing the way many industries do business, even the industries, like the senior home healthcare industry, which resisted change for many years. However, the senior home healthcare industry is unable to resist the influence of technology much longer. As the Baby Boomer generation ages and starts to become the elderly population, demand for home healthcare workers grows alongside it. The Bureau of Labor Statistics estimated that the annual growth rate each year between 2016 and 2026 for home health aides and personal care aides sits at 7%, which is must faster than the average for all other occupations in the U.S.
More so, assisted living facilities and nursing homes are the most expensive options for senior in need of care and do not have enough capacity to house such a large influx of people, making aging at home even more important for the elderly population. The cost of home health care for seniors nationally averages around $30,000 a year, and with increasing demand of home health aides that price will more than likely also increase. While the price of home care will likely increase, government assistance for individuals of the senior population will not. The problem sets itself up; the senior population is quickly increasing and will need long-term care, yet long-term care is not yet affordable for them. Caregogi offers the solution to this problem. Cargogi.com, an online platform that connects seniors in need of care with caregivers, uses technology to not only help solve this need for caregivers but does so in a way that cuts out the agency cost. Founded in 2016, Caregogi was created by home care agency owner, Mary Jo Dietrich, RN-BSN. 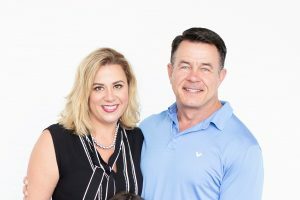 Dietrich, who has provided home care to over 950 families, saw the need for more affordable senior home care and sought out a way to provide it by disrupting her own industry. Dietrich worked with her tech team for over a year to incorporate a custom algorithm on the site. This algorithm makes Caregogi unique by providing care seekers and caregivers the best, high quality matches at half the cost of traditional agencies. By cutting out the agency, Caregogi gives care seekers the ability to have quality home care without paying the expensive agency overhead. Instead, care seekers act as their own agent for home care. Based on a series of questions answered by both the care seeker and caregiver, care seekers can browse through a list of caregivers that best fit their needs. Then, they select and employ a caregiver that they believe is the right fit for them based on the caregiver’s profile, availability, and stated hourly rate. From there, care seekers can schedule their caregiver online as well as complete payments through the site. Unlike an agency, care seekers can find and schedule caregivers as immediately as necessary to help fill gaps in care due to caregiver call offs or emergencies. A resource library is also provided to give seniors and their family access to education to help at all points in the care journey. Care seekers are not the only one who benefit from this model; caregivers also make out in the deal. By cutting out agency costs, caregivers can make exactly what they charge, affording them a higher income. Additionally, caregivers are given even more flexibility for scheduling, as they set their own schedules and can choose to be on call whenever and for as long as they would like. To help improve their chances of being selected, caregivers are offered background checks. Caregogi has already proven its necessity for caregivers in the home care market. Since its launch in late 2017, Caregogi has had over 3,000 caregivers join to provide care to seniors in need. Using the internet to connect people is not a new solution. However, the use of this type of platform to help both sides of the senior care market (caregivers and care seekers) is disrupting, revolutionizing, and new to the senior home healthcare industry. 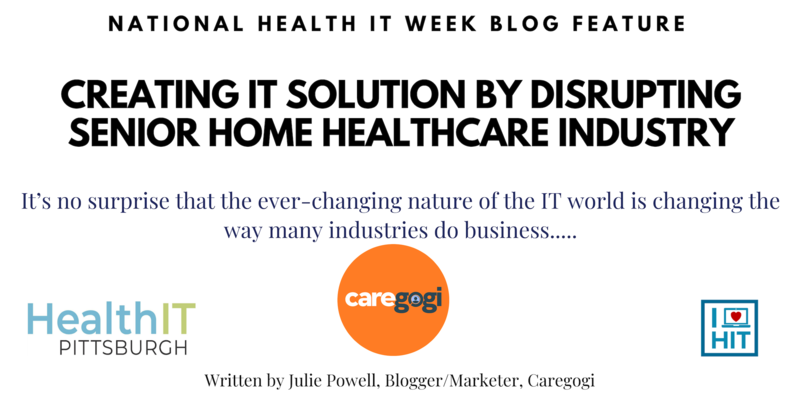 Caregogi uses the internet for the senior home care industry just as the internet was designed for; to make a process easier, faster, and simpler. With the sure probability that the senior population will be doubling from now to 2050, a cost-effective way to provide home care to those seniors in need is imperative, and Caregogi’s model is the solution.